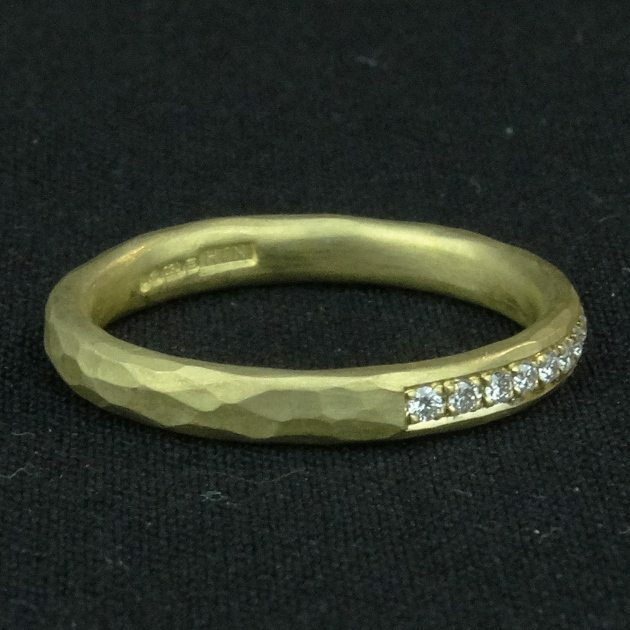 18ct yellow gold hammered band with grain set diamonds. Handmade by Worksop based jeweller Natalie Jane Harris. 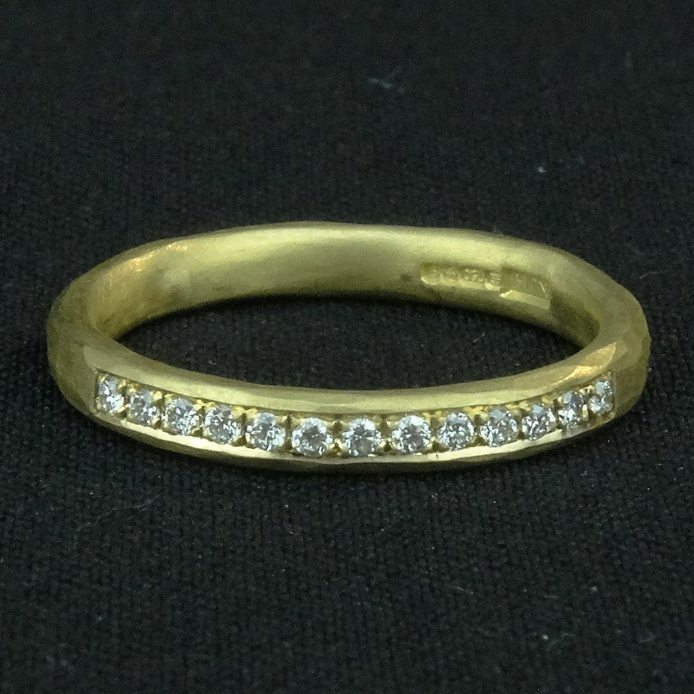 Rings can be ordered in any size, please contact the gallery for details.